The ever popular singing talent hunt show of Tamil Nadu travels to Singapore yet again. The junior winner of season 5 along with the four finalists will entertain the viewers of Singapore 'LIVE'. The evening will also be lined-up with some fun and laughter with our popular stand-up comedians. To make the evening extra special, a celebrity singer will also belt out some ever green & ever popular film songs. Finally, to add to the excitement the event would be graced by a popular film Star too. Star Vijay from the STAR Network is a popular Tamil general entertainment channel available in Singapore on StarHub and SIngTel TV. 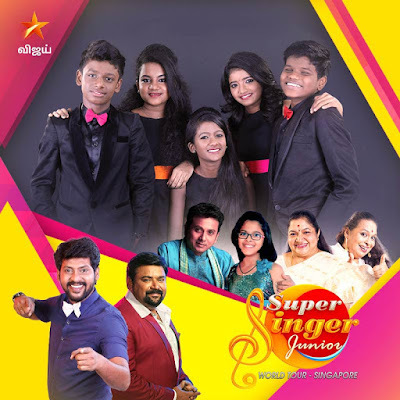 The Channel, in its constant endeavour to connect with its audience, creates this unique opportunity for its viewers to experience the artistes of STAR VIJAY perform 'LIVE'. Infants in arms or children below the age of 5 shall be admitted without a ticket. 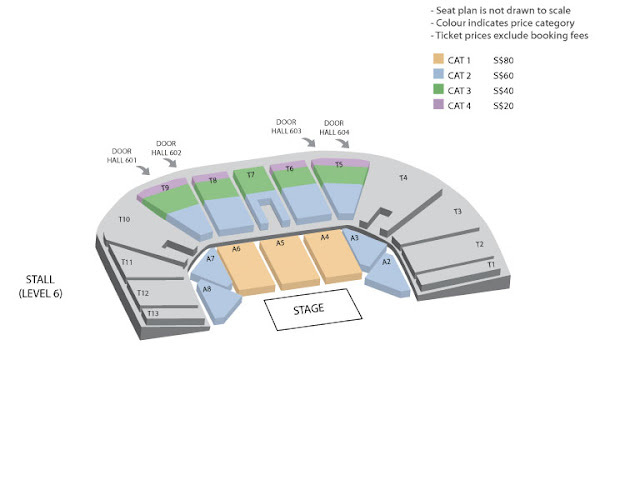 Children above 5 years must purchase ticket for admission. Also have a Look at the Super Singer Junior 2017 Singapore Live Show.